The analysis of amplitude variation with offset (AVO) plays a significant role in fluid detection and lithology discrimination in hydrocarbon reservoirs. The Zoeppritz equations are part of the basic theory of AVO analysis which describes the relationship between seismic reflection and transmission coefficients and elastic rock properties (e.g., P- and S-wave velocities and density). Currently, most AVO inversion methods are based on approximations of the exact Zoeppritz equations, which not only limit the accuracy of AVO inversion, but also restrict its application to wide-angle seismic reflection data. In addition, the most difficult part of linear AVO inversion obtaining an accurate Jacobian matrix (partial derivatives of reflection coefficients with respect to inverted parameters). 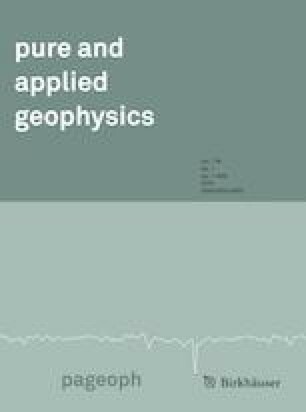 Based on our previous study on the accurate gradient calculation of seismic reflection coefficients for the inversion of rock properties, we further combine the exact Zoeppritz equations with Biot–Gassmann equations to compute the gradients of seismic reflection coefficients with solid density and reservoir properties (e.g., porosity, water/gas/oil saturations) in porous media. In this paper, the partial derivative expressions of the Zoeppritz matrix elements with respect to solid density and reservoir properties are simplified to simple algebraic equations, which are readily calculated. By comparing reflection coefficients and partial derivative curves with those obtained by classic Shuey and Aki–Richards approximations, we show that our proposed method can be used to accurately obtain reservoir properties in AVO inversion. The authors acknowledge the Faculty Internationalization Grant at the University of Tulsa. This work was supported by BIGC Project (Ec201803, Ea201806 and Ed201802), Joint Funding Project of Beijing Municipal Commission of Education Science and Beijing Natural Science Funding Committee (KZ201710015010, KZ201510015015 and PXM2016_014223_000025). This work was also supported by the College Student Research Program of 2016.